Before embarking on the yummy sounding lemon almond cake, can I check that a capital T denotes a Tablespoon (15g) and lowercase t a Teaspoon (5g)? Quite happy with cups - a friend from the US bought me a set. Capital T means Tablespoon* (15g or 15ml), and lower case t means teaspoon (5g or 5ml). I am gradually changing the recipes on the site to include Tbsp for Tablespoon and tsp for teaspoon. I hope that will be more clear. 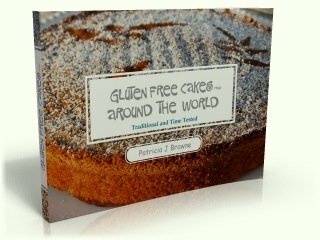 The Gluten Free Cakes eBook uses these new abbreviations, and the next version of the Easy Gluten Free Recipes eBook will use them too. Thanks for asking, as I'm sure other people have the same question! The measurements on this site and in the eBooks are US measurements. *In Australia a Tablespoon is larger (20g) than ours in the US (15g). So if you are using Australian measures use only 3/4 Tablespoon, or 3 teaspoons.